Similar to some new year’s resolutions, changing your email habits can yield a positive effect on your brand and your bottom line. We’ve put together 11 tips to help you improve your email end game in 2017. Are you up for the challenge? Make your CTAs bigger and tappable with a thumb. Given the increase in the number of emails being opened on mobile, you don’t want to lose people because your CTA buttons are too small. It’s all about the font! Make sure the body copy is large enough and clear. Recommended font size is 14 point. Personalize the greeting. It seems corny, but people love seeing their name in print and it shows them that you carefully put this email together with them in mind. By adding their first and last name to both the title and the body copy, your message will show you care. Plus, according to Aberdeen, personalized emails improve click-thru rates by 14% and conversions by 10%. Personalize the offer. You can personalize your emails and offers if your data is accurate. But be careful, nothing is worse than improper personalization. Proof-read your email. Grammar mistakes in an email are a big turn off no matter the brand. Re-engage un-opens. Send a follow-up email with a different subject line or the same subject line but at a different time of day. The truth is, you don’t know why they didn’t open it, but experimenting with time of day and subject line are a good start to re-engaging the unengaged. Use video in your emails. Recent studies show that video email marketing has a 280% higher return than traditional emails. Avoid spam triggered words in your subject lines such as: free, winner, perfect, good, help, % off, and reminder. Scrub your list. In July 2017 Canada’s anti-spam law goes into effect. Here’s what you need to know. Optimize for mobile. With 56% of emails being opened on mobile, mobile-aware or responsive design is a must. Want to show us your stuff? Stay tuned for the 2017 Sparky Awards where you can submit your best emails for best subject line, best use of the SparkPost API, best email campaign, and best integration of SparkPost with a SparkPost partner. View our 2016 Sparky Award winners. Great tips. Thanks for sharing. 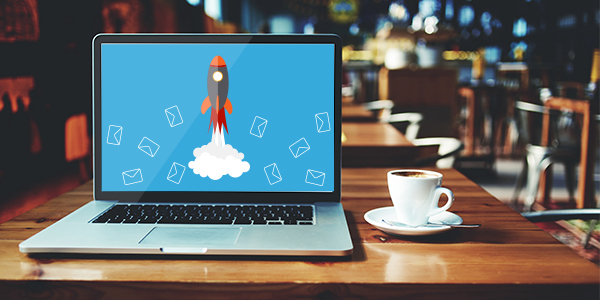 Email marketing can be difficult but with these tips in mind, you can succeed. Learn about the value of creating a clear and streamlined unsubscribe page and why unsubscribes can actually be a good thing for your email strategy. For MarTech providers and marketers, how will the amazing growth of the IoT impact email strategy in the not-too-far-future? Discover how to design a Fiserv email campaign that is compliant with recent regulations and directives without exceeding your budget.